When you think of home surveillance, CCTVs and complicated alarm systems are likely the first thing that come to mind. 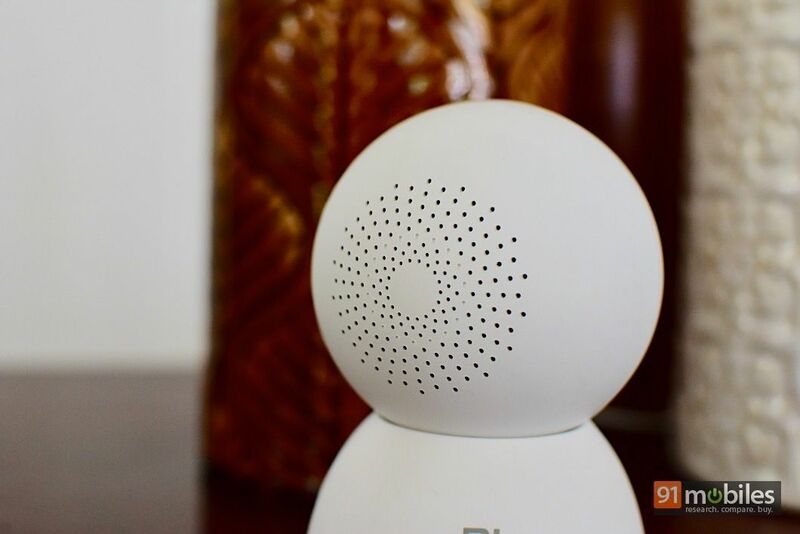 But things have changed, and today, you can find several smart home security cameras that can be setup without external help, and controlled via your smartphone too. A quick search on Amazon will throw up several affordable options, but dig deeper and you’ll find a host of customer complaints – from issues with Wi-Fi, to cumbersome setup processes, lack of customer support and even privacy concerns. No surprise then that Xiaomi decided to venture into this very category in India. 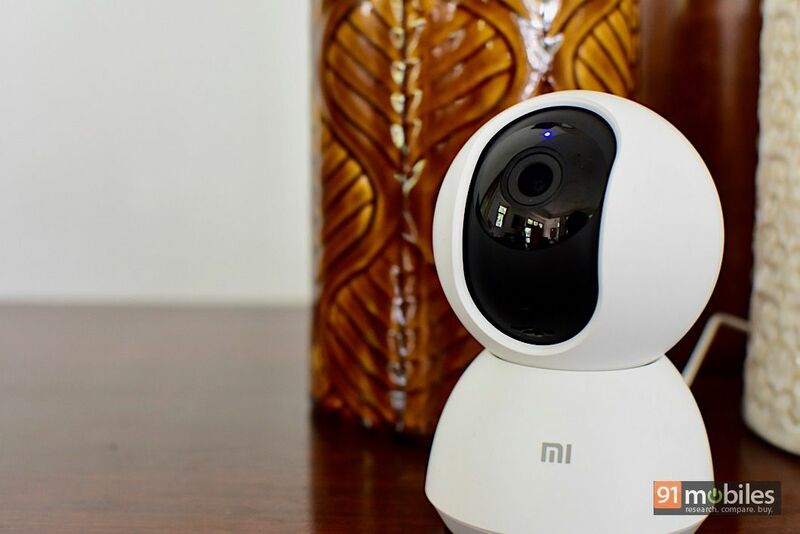 The recently launched Mi Home Security Camera 360° is affordably priced at Rs 2,699, and is positioned as a simple, DIY home surveillance solution. 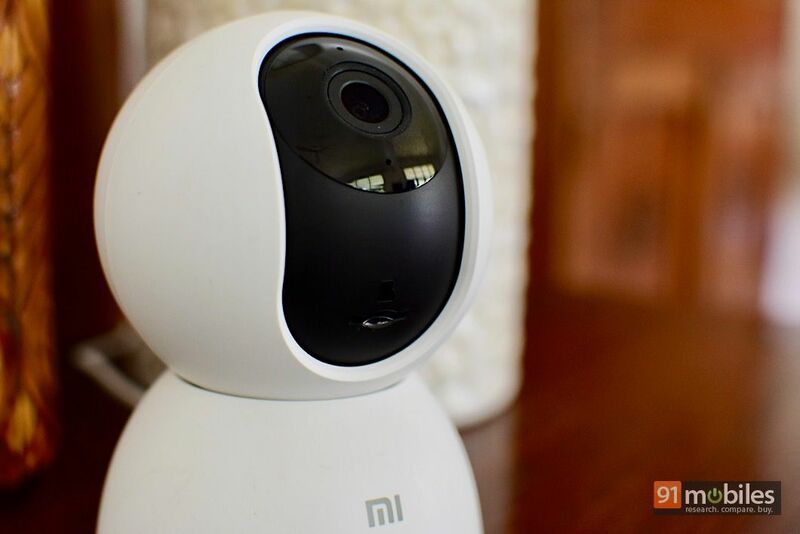 Does the camera have the potential to revolutionalise the home security camera market in India? Read our review to find out. 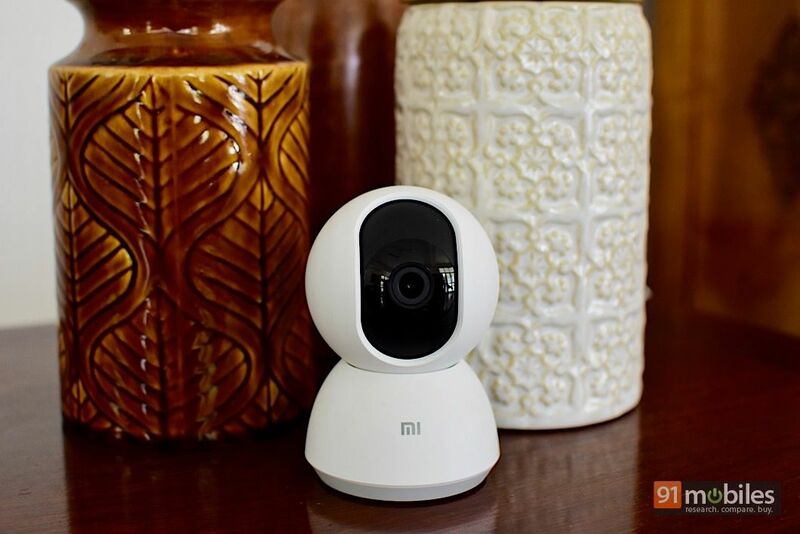 Unlike other home security cameras, the Mi Home Security Camera 360° features a sleek, futuristic design that blends in seamlessly in your home. 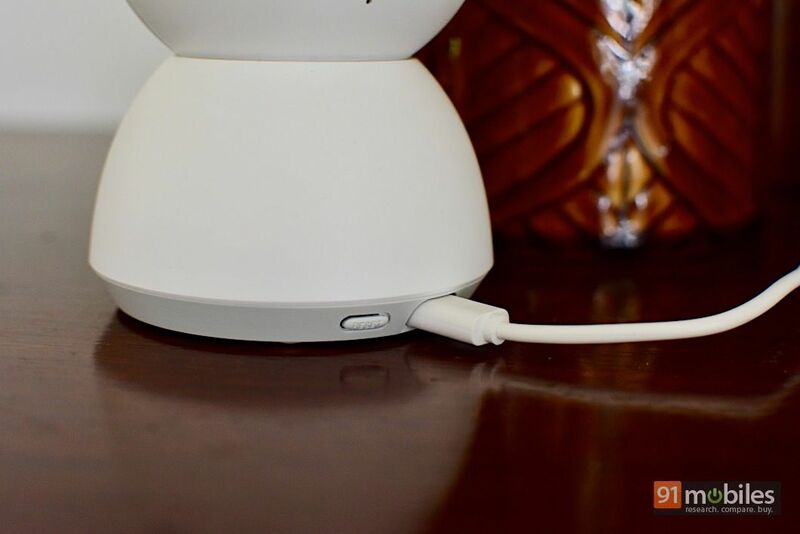 You can either place it on a surface (it’s connected to a power socket via a micro-USB cable), or upside down on the ceiling via the included mount. Of course, you’ll need to have a power source nearby to do this. Unfortunately, the camera is meant for indoor use only, so if you plan to use it outside your front door, you’ll have to ensure it’s in a sheltered spot. The camera has an LED light indicator to let you know the status (blue means it’s on and connected), and a microSD card slot concealed under the lens that accepts cards up to 64GB in size. Setting up the device is fairly easy – you need to download the Mi Home app (available on Android and iOS) and follow the steps to set up the camera. You can choose to add other users to the camera (by adding their Xiaomi ID), so that multiple members of the family can have access to the feed. I had some issues when I first tried to pair the camera since it refused to connect to the India server. Changing the server to the India (Asia) server worked though, and this issue has since been resolved. The camera connects to your smartphone via Wi-Fi, and works on the 2.4GHz band. The app features a virtual D-pad which you can use to pan the live view horizontally or vertically. The camera offers a 360° horizontal view and 96° vertical view, so you can capture pretty much any movement in a room. You can add multiple cameras to your home, and name them according to location, such as living room, bedroom, etc. The only downside to this is that you can’t view multiple feeds in the app simultaneously, and you’ll need to switch between individual cameras in the app to view their respective feeds. The app offers a home monitoring feature, which will send alerts to your smartphone when the camera detects movement in a room. In the app, you can choose between high and low alert sensitivity, and choose an interval timer to capture alerts (between 3 and 30 minutes). The camera records a 10-second video clip of the said movement, which you can view on your phone. I found the camera to be very sensitive, picking up even the tiniest of movements. The app will even tell you if the movement detected is from an object or a human body. While inserting a microSD card will record a continuous flow of video which you can playback on your smartphone, if you choose not to add one, you’ll still be able to view the 10-second motion detection clips via the app. The camera supports microSD cards up to 64GB in size, and since it uses H.265 encoding, Xiaomi says resulting video takes up half the storage of H.264 recording at the same resolution. While the 64GB limitation is a bit of a let down, Xiaomi claims that this can capture up to five days of footage. There’s also an option to back up microSD card footage to a NAS drive, but I couldn’t test this feature. While it would have been nice to have a cloud storage option for the recorded video, this would end up being a paid option that I don’t think many users, especially in India, would make use of. Video is recorded in 1080p (you can change the setting to low to conserve data) and audio is recorded alongside as well, which is useful. I was particularly impressed with the audio quality, which is crisp and loud. The camera also has an infrared feature, and can record 1080p video even when it’s dark. The resulting video is remarkably clear, even in a pitch black room. 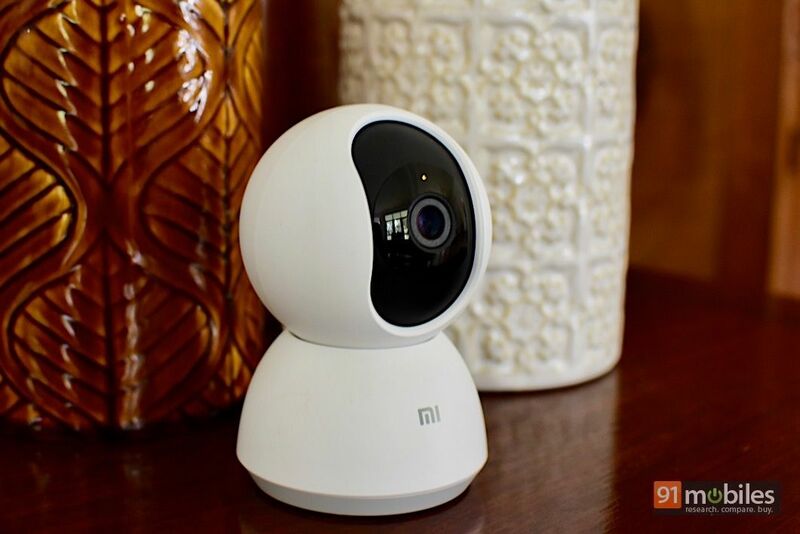 Another cool feature of the Mi Home Security Camera 360° is that it supports two-way audio, useful if you want to communicate with your kids (or pets!) when you’re away. You can use this feature by tapping on the voice call icon in the app. The only downside to this is that the speaker on the camera isn’t very loud, so the person in the room won’t be able to hear you if there’s music or TV playing in the background. 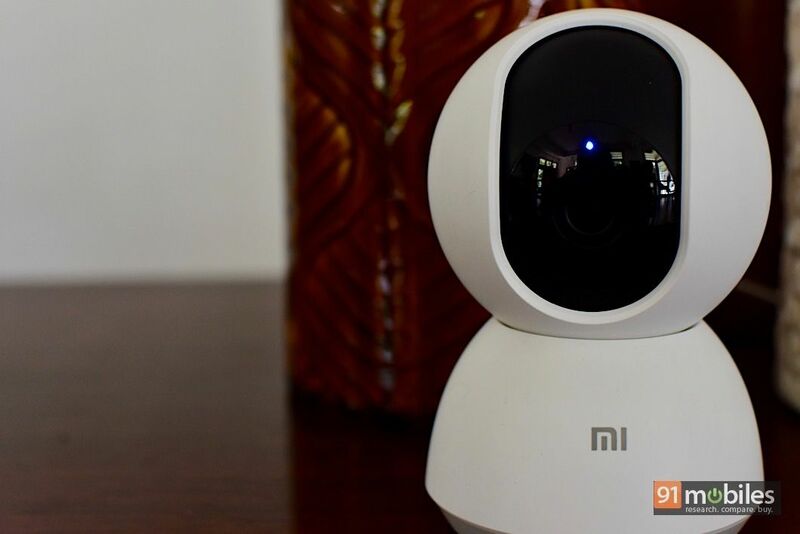 A few limitations aside, the Mi Home Security Camera 360° is one of the best home security cameras you can buy today. With a Wi-Fi-enabled security camera, there are always concerns over video being transmitted to offshore servers without your permission, which is why I would only recommend buying from a reputed brand. Xiaomi has migrated all its servers to India, so there’s no worries on that front. 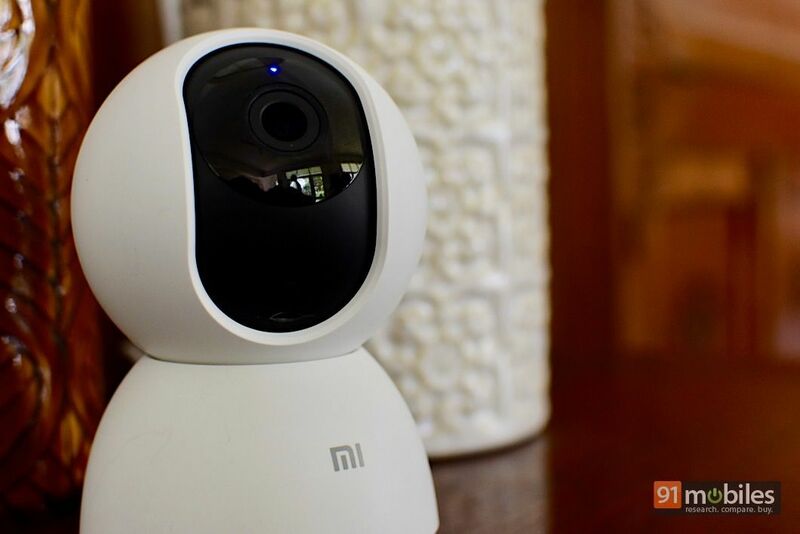 The Mi Home Security Camera 360° is a reliable, affordable and simple solution, and a product I would blindly recommend if you want to set up a home surveillance system.